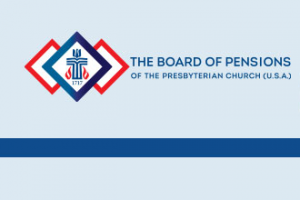 LOUISVILLE — Concluding its meeting Saturday, directors of the Board of Pensions of the Presbyterian Church (U.S.A.) voted a 3.6 percent experience apportionment for the Pension Plan for the seventh consecutive year, despite tumultuous markets. According to the “Spring 2019 Board Bulletin,” directors also approved new grants intended to bring more ministers into Pastor’s Participation, which is designed to meet the needs of pastors and their families and to provide financial assistance for dental services and hearing aids. Michael F. Fallon, Jr., the Board of Pensions’ Executive Vice President and Chief Financial Officer, told the board that investment assets available for benefits and programs stood at $9.8 billion for all plans as of the end of 2018, with each plan above the minimum funding adequacy levels. The experience apportionment is effective July 1. The seventh in as many years, it results in a seven-year cumulative increase of 23.9 percent. For retirees and eligible survivors, experience apportionment is expressed as a percentage of benefits currently received and is a lifelong increase in an individual’s pension benefit. In July, pensioners will be notified of how much their pension payments increase, and payments that month will reflect the increase. For active and terminated vested members, an experience apportionment is expressed as a percentage of an individual’s pension credits accrued as of Dec. 31, 2018. For active members, it will be reflected in their pension estimate on “Benefits Connect” in July. Terminated vested members will be notified in July of their pension credit increase. The board approved a new grant to support minister well-being and presbytery efforts to establish new congregations and spread the good news. That could result in more ministers receiving comprehensive benefits. Grants will be available to presbyteries to help finance Pastor’s Participation dues for organizing pastors and evangelists who work at least 20 hours a week. The one-year grants will be renewable for up to five years. Dues will be fully covered for the first three years, with two-thirds coverage in the fourth year and one-third during the fifth year. The application period will open in May, when more details will be available. The board approved the establishment of Retiree Medical Grants, which will be available through the Assistance Program. Retirees, spouses and surviving spouses may each receive, once every three years, a need-based grant of up to $2,500 to help them pay for dental services and/or hearing aids. The portfolio’s 20-year annualized return of 6.5 percent exceeded the policy benchmark by 0.90 percent, while the 10-year return of 9.3 percent beat the benchmark by 0.40 percent. The one-year return of negative 3.9 percent exceeded the benchmark of negative 4.9 percent by 1 percent. The Board of Pensions Balanced Investment Portfolio is the investment fund for the Pension Plan, Death and Disability Plan, Endowment Fund, and Assistance Program assets, as well as for restricted gifts made to the Board of Pensions. On December 31, 2018, the portfolio had a market value of $9 billion. The 2018 Investment Review is here. Certain death and disability benefits are subject to fixed benefits limits. They are increased periodically to adjust for payroll changes, inflation and benefits adequacy. Effective Jan. 1, 2020, action by the board will result in increases to the minimum amount payable under the salary continuation benefit (from $9,000 to $10,000) and to the maximum lump-sum death benefit basis and the maximum disability benefits basis (from $100,000 to $110,000). The board granted a 2 percent increase for members receiving disability benefits as of Dec. 31, 2018. The increase, effective July 1, is intended to prevent the erosion of disability benefits through inflation. The assets and liabilities of the Death and Disability Plan are evaluated independently of the other plans administered by the Board of Pensions. At the March meeting, directors reviewed investment and actuarial experience, reserves and inflation, and determined that the benefit increase is appropriate. Three officers received renewed one-year terms, which will begin at the conclusion of the annual meeting June 20-22. The board re-elected Fairfax F. Fair as chairperson. Fredric J. Bold Jr. was re-elected first vice chairperson, and Suzanne P. Welsh was re-elected second vice chairperson. The June 20-22 meeting will be in Minneapolis. To learn more, email csecretary@pensions.org or phone 215-587-7600.